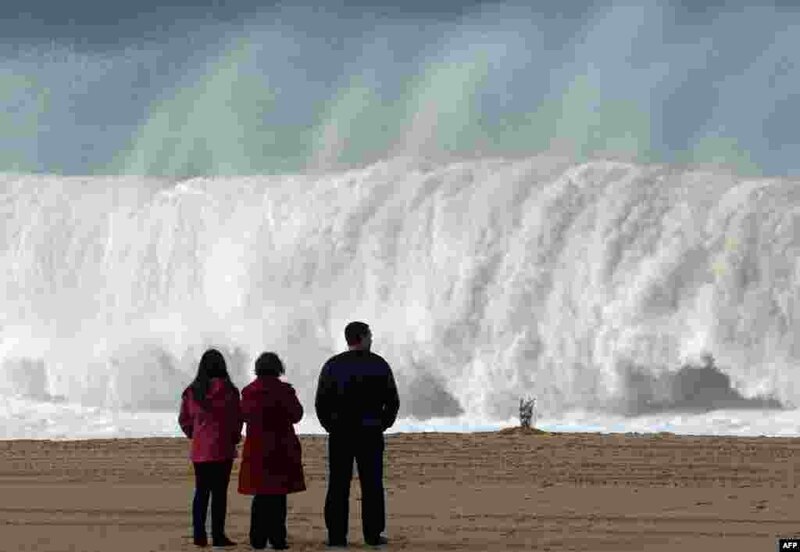 5 Flowers are seen on the sands of a beach in Meco, near Sesimbra as people watch the waves after one university student died and five others are missing when the group of seven were swept away by a huge wave on a beach in Portugal on Dec. 15. 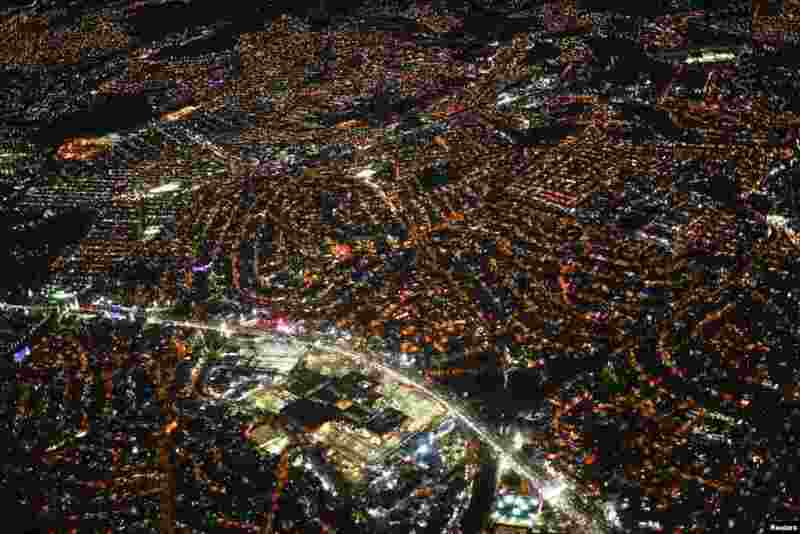 6 An aerial view of Mexico city at night from an airplane, Dec. 16, 2013. 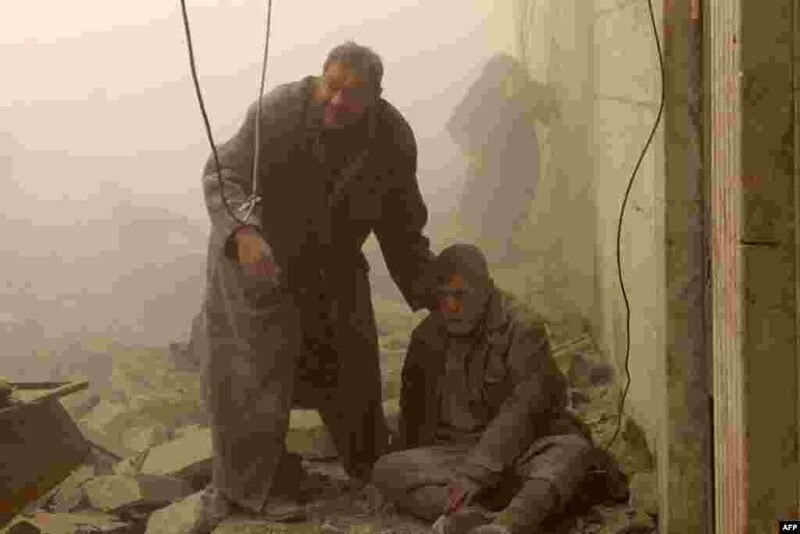 7 A Syrian man helps an injured man following an airstrike in Aleppo's Maadi neighborhood. 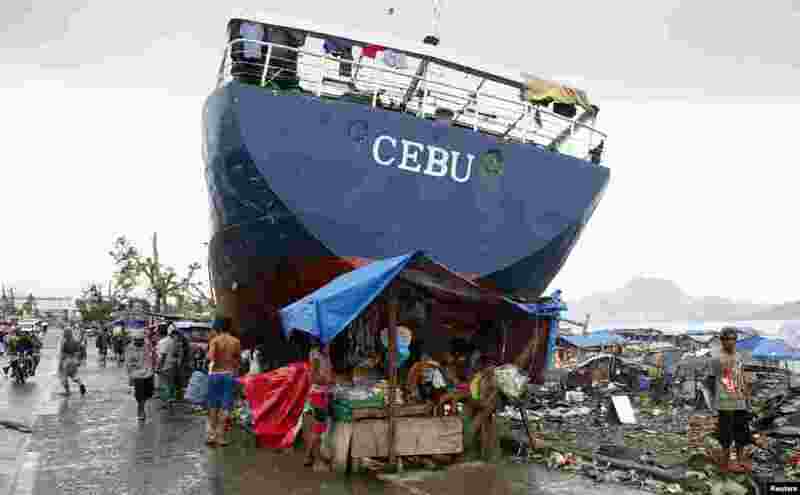 8 Typhoon survivors sell goods in a makeshift store next to a ship that was swept ashore by Super Typhoon Haiyan last month, in Tacloban city in central Philippines.